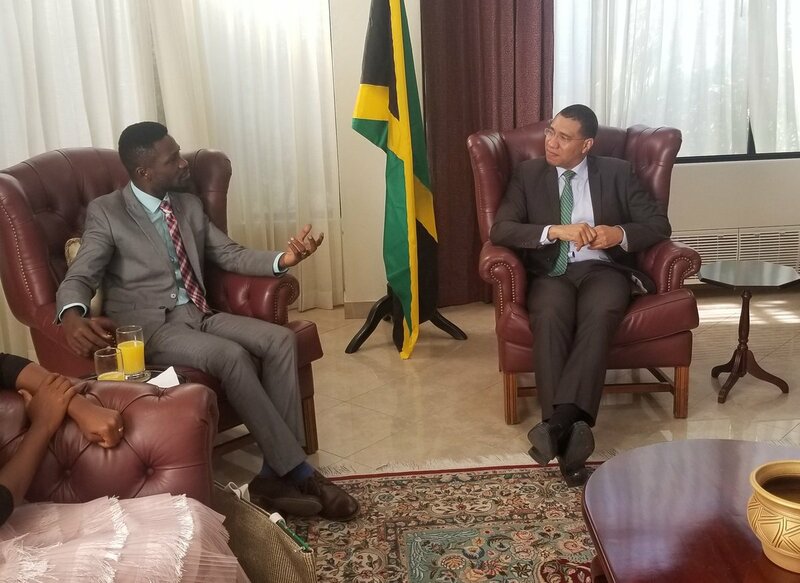 KINGSTON, JAMAICA – Ugandan musician also Member of Parliament Robert Kyagulanyi Ssentamu aka Bobi Wine in a company of his wife Babra Itungo aka Barbie Kyagulanyi on Thursday afternoon, held talks with the leader of Jamaica, the Most Honorable Prime Minister Andrew Michael Holness. According to a statement on his social media, Bobi Wine says the duo discussed the role of music and the arts in a nation’s development. “I commended him, as well as the previous governments of Jamaica for recognising the role of music in raising the consciousness of a people, as opposed to persecuting arts and artistes,” Bobi Wine says. Bobi Wine who arrived in Jamaica where he also performed at different music concerts appreciated his hots country for recognising the potential of young people and putting them at the helm of their country’s development agenda- seeing that he is also the youngest Prime Minister in Jamaica’s history. On his part, Prime Minister Andrew Michael Holness explained that he considers music to be a mirror through which society must view itself and that to him, music communicates much more than politics. He added that the concert was an opportunity for him to listen and understand what his people are saying about how they are being governed and how things might be made better. Bobi Wine who is set return home lauded Tony Rebel for inviting him for his show. “I also appreciate other fellow artistes in Jamaica and other countries with whom I shared the stage, and those I have met on the side lines and drawn encouragement from. “Thank you, the great people of Jamaica for such a warm reception. “As the younger generation of African leaders, we must find a way of connecting our continent more to our brothers and sisters over here.